Radio silence on this end, people. My apologies. Since my last post, I’ve been busy at the Food Bank, celebrating my kid’s 3rd birthday and Thanksgiving, and experiencing life in between. So instead of posting elaborate recipes, I thought I’d give you a brief glimpse of what my world has looked like lately. 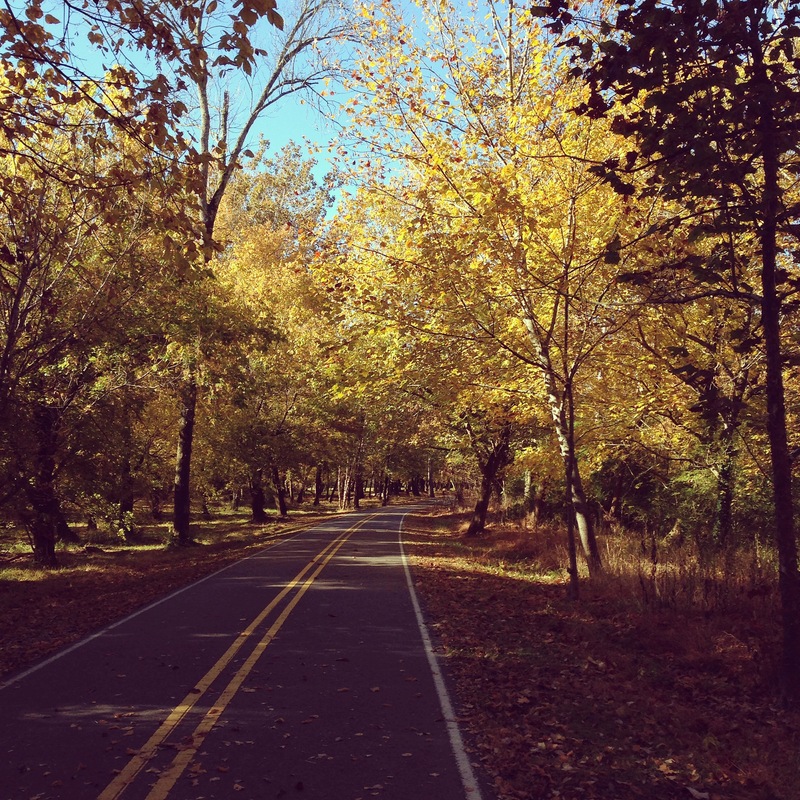 Here are a few of my favorite things that happened in November. Flowers! 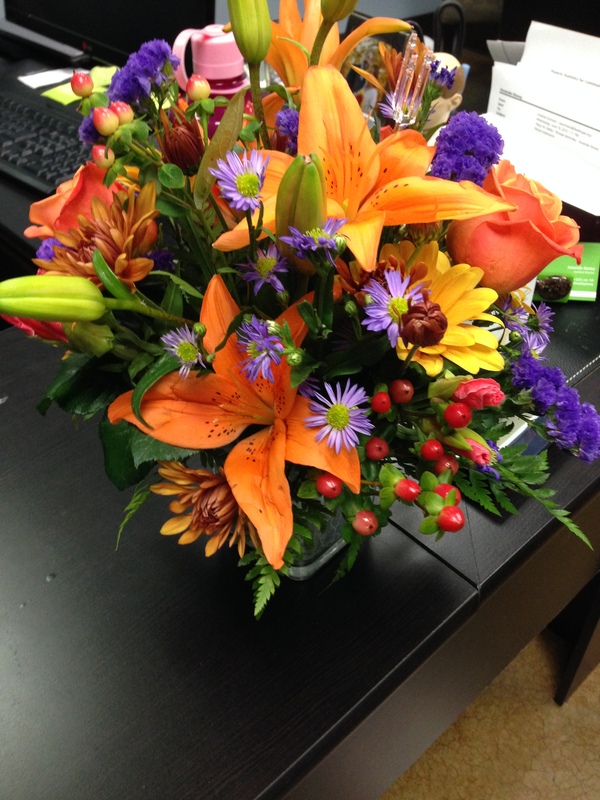 My month also started out with some flowers delivered by one of my most favorite people. She’s getting married next year and asked me to be her Flower Girl. Yes, you heard me. At 37 years old, this will be my first wedding as an adult as a “member of the wedding party” and I am going to rock it as a Flower Girl. Can’t wait! Next up: St. Paul & the Broken Bones. I first experienced St. Paul & the Broken Bones at a Jones Valley Teaching Farm fundraiser. I danced ALL night next to my dear friend Katie. We found ourselves at the Bottletree months later dancing the night away again. You can imagine my delight when Katie asked me to go with her to the show at the Alabama Theater in November. It meant so much and we had a delightful time. I enjoy this group so much and enjoy time spent with Katie even more! We have had some tremendous events at the Community Food Bank of Central Alabama as well. As you may already know, the holidays are an incredibly busy time for us– both for those neighbors looking for food and for those neighbors looking for ways to give. 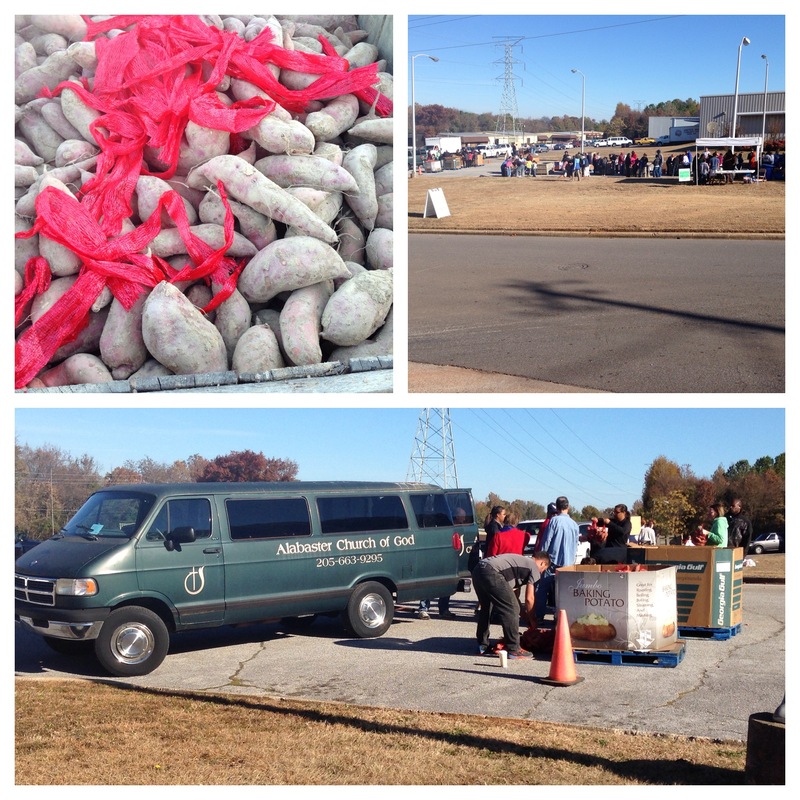 We hosted a Sweet Potato Drop at the Food Bank on November 22nd and 300 folks showed up to bag 40,000 lbs of potatoes! 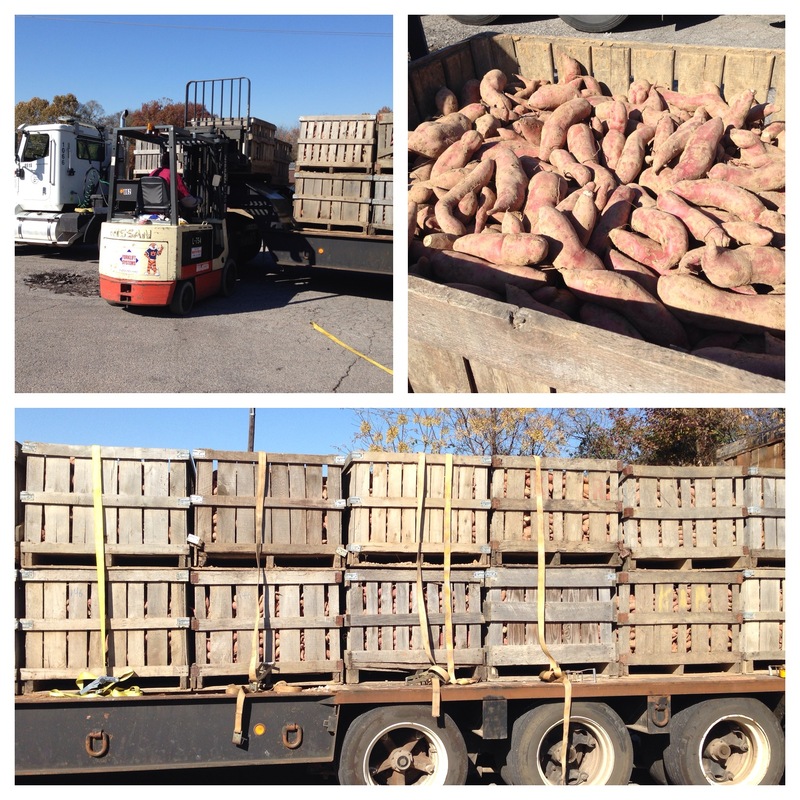 Those potatoes were loaded in our agencies’ vehicles and immediately distributed just in time for Thanksgiving. It was such a great day! 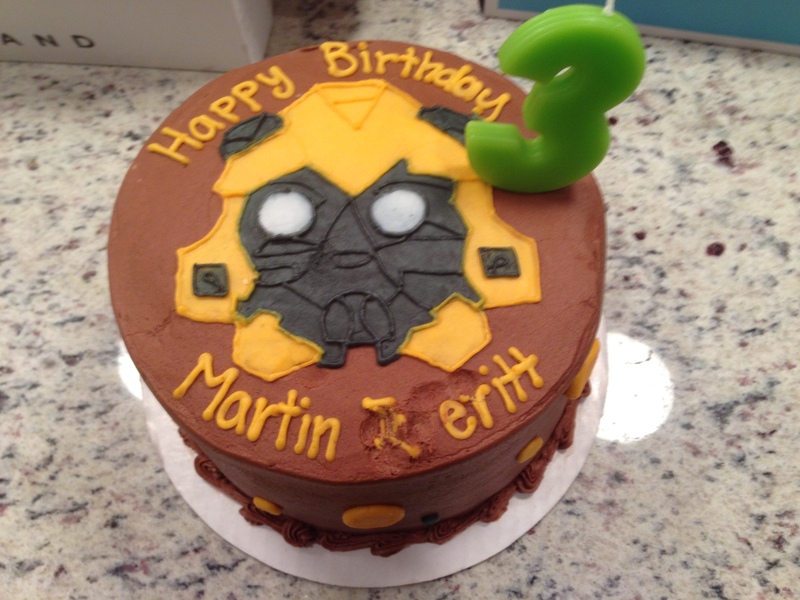 Shortly after this event, we celebrated Martin Everitt’s 3rd (yes, 3rd if you can even believe it) birthday complete with a trip to the zoo and some Rescue Bot action. 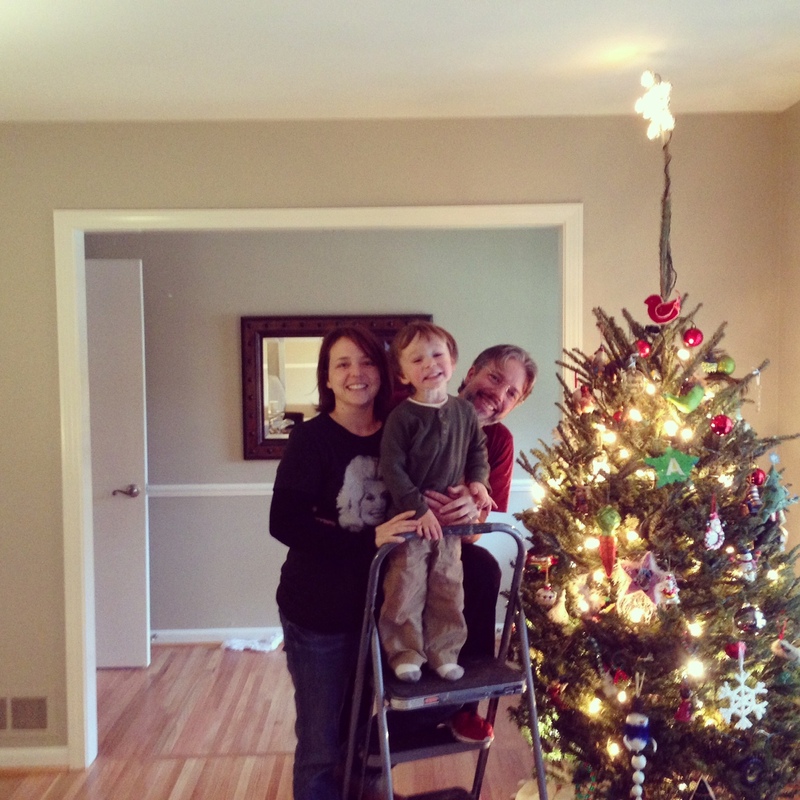 Thanksgiving was relatively calm. 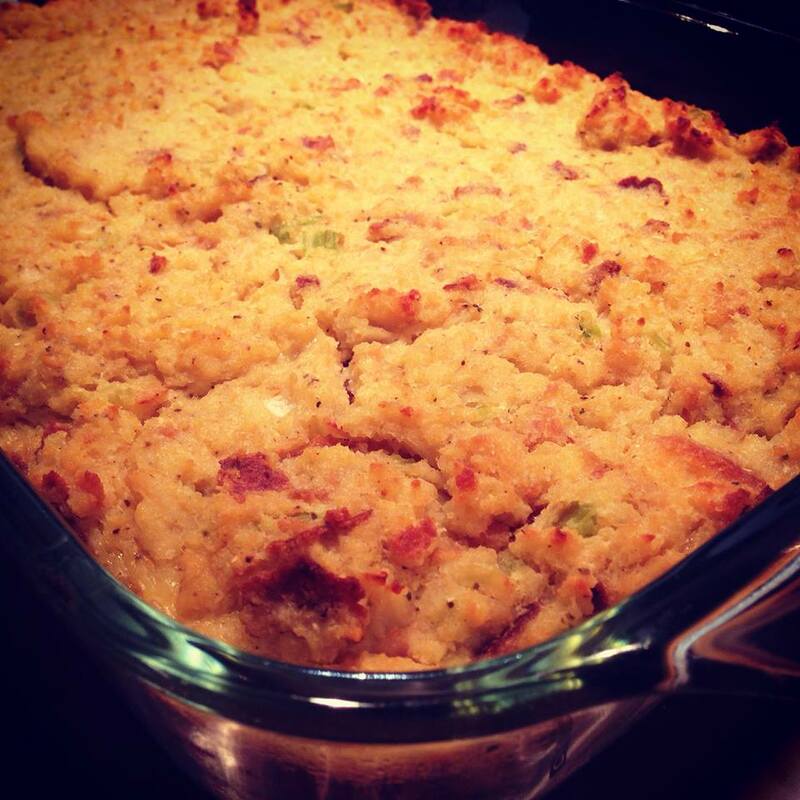 As long as my Mama makes cornbread dressing then everything pretty much remains calm. I’d give you the recipe, but I have no idea how she does it even though we’ve tried to capture the process year after year. All I know is it is delicious. 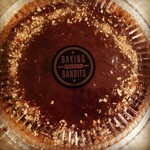 Oh, and how can I forget the amazing Chocolate Pretzel Tart from Baking Bandits? Folks, I really have no idea what to say about this except that it was unlike anything I’ve ever had. Support local business. Save yourself some time cleaning those mixer paddles. GO GET ANYTHING FROM MY GIRL KRISTEN AT BAKING BANDITS! Well once Thanksgiving is over, you have to figure out what to do with all the buttermilk. Or so that is what I told myself this morning as I found myself making Buttermilk Biscuits and Buttermilk Cranberry Scones. 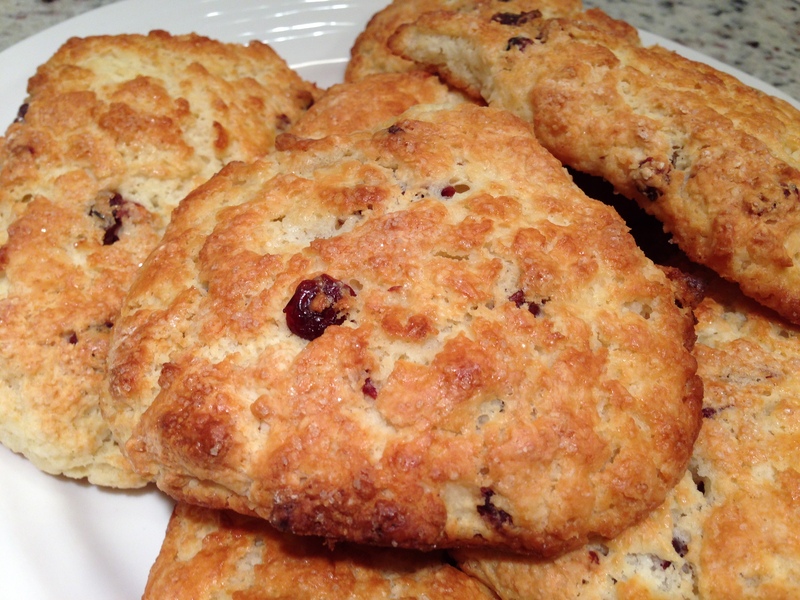 I made myself feel better by reading a low-fat version for the scones, but ended up using this recipe: Buttermilk Cranberry Scones from Pinch My Salt. But if it makes you feel better, you can go ahead and pretend they are all 4 points each and I won’t tell a soul. 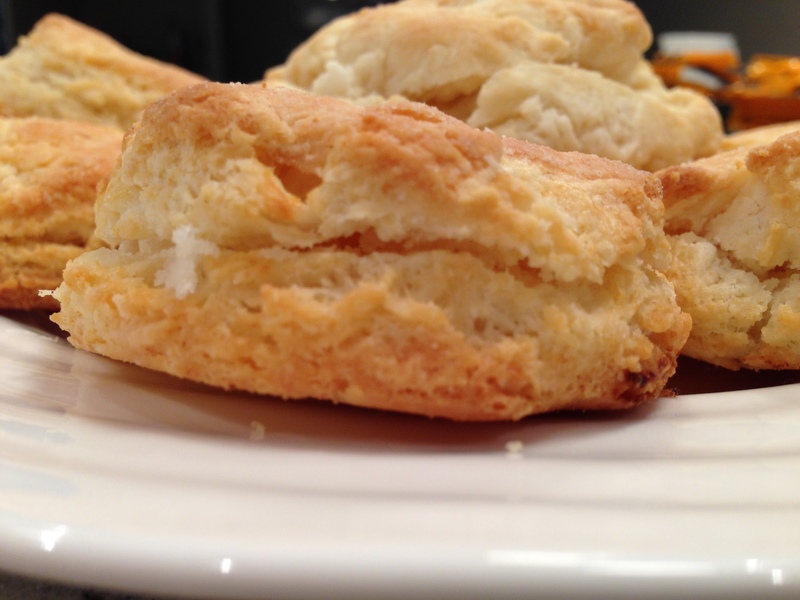 Then I made some biscuits because why not? I just used White Lily Self-Rising Flour, a stick of butter, 3/4 cup of buttermilk, and a pinch of salt. 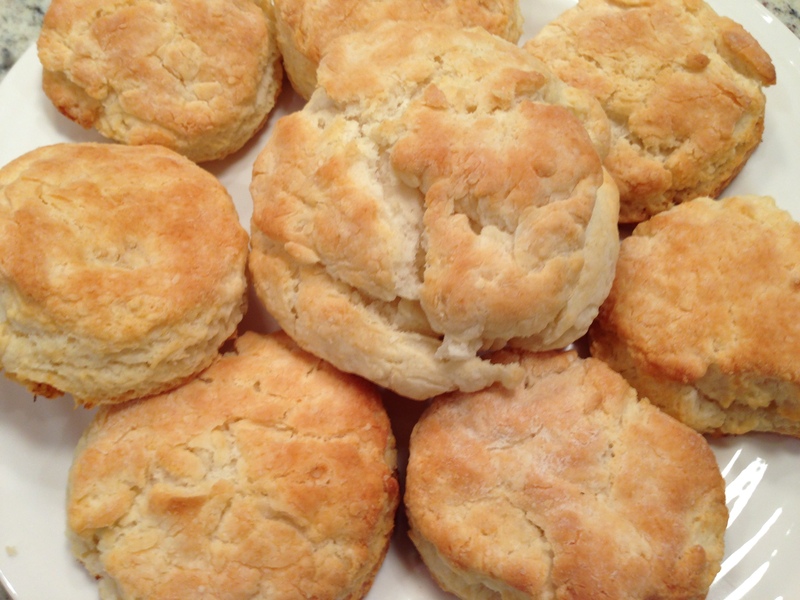 Man, I love a biscuit. And finally, I must admit that I was a little nervous heading into Martin Everitt’s birthday and Thanksgiving without my Dad. I guess 2014 will be the year of constant change and adjustment. I pulled out my ornaments yesterday and found all of the ones my Dad and I made years and years ago when he had this crazy idea to make them (totally not like either one of us, btw). I know I had to have been in elementary school, but I still have them and we hung them on Martin Everitt’s tree this year. I can honestly say that this year has challenged me to hold on tight to my people. I have a completely different perspective, which is why this week has been so incredibly special for me even as I sorted through some painful moments along the journey. 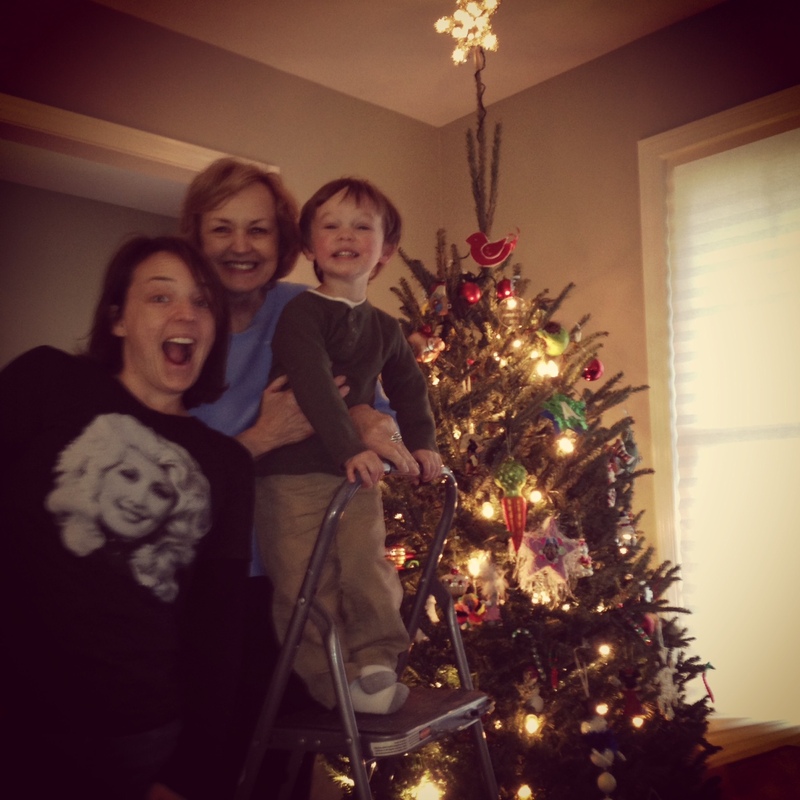 Gosh I just love this Dolly shirt! 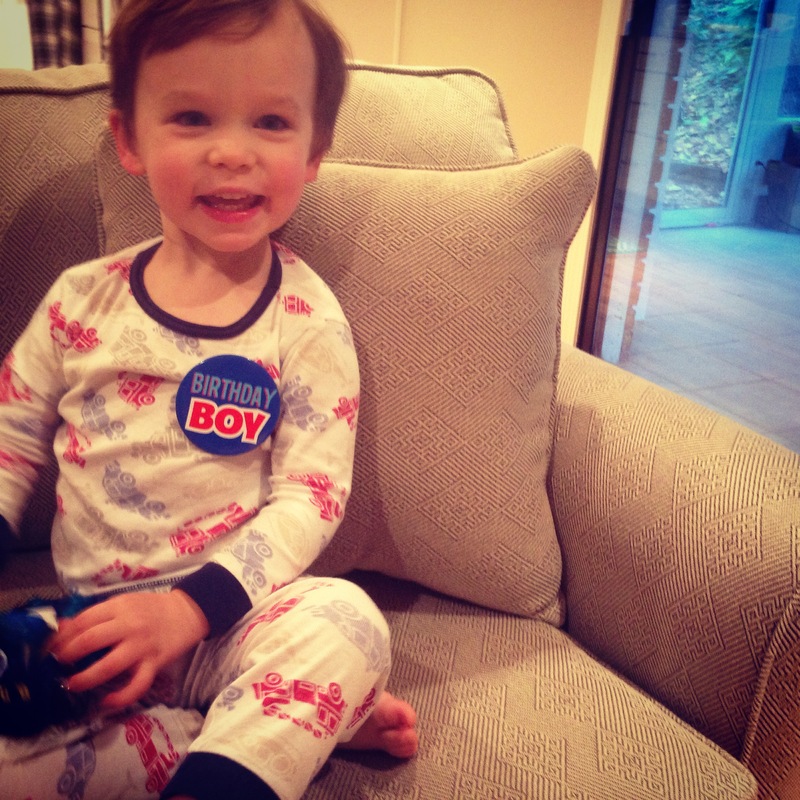 And those biscuits! Me too! I’ve always said I would love to make biscuits with Dolly. It is so hard to believe!